The benchmark Sensex on Friday capped its best weekly rising streak in 14 months, with investor focus shifting towards the upcoming elections, and with the earnings season set to begin next week. The index advanced 0.5 per cent, or 178 points, to 38,862, completing its seventh consecutive week of gains. During this phase, it has added over 3,000 points, or 8.5 per cent. The Nifty50 rose 0.6 per cent, or 68 points, to 11,666. The Sensex had retreated for the past two sessions after closing at a record high on Tuesday. Foreign institutional investors (FIIs) turned net-buyers after two back-to-back days of selling. On Friday, they purchased shares worth Rs 798 crore, while domestic investors were net-sellers to the tune of Rs 326 crore. The surge in FII flows is seen as the key reason behind the market’s seventh straight weekly gain. Since February-end, overseas investors have pumped in over Rs 50,000 crore into domestic markets, buoyed by the dovish policy stance adopted by global central banks, particularly the US Federal Reserve. Besides easy liquidity, the prospective re-election of Prime Minister Narendra Modi has helped sentiment. The first phase of voting in starts on April 11, while Infosys kicks off the quarterly earnings season next Friday. India on Tuesday became the first among markets valued at more than $1 trillion to reach a record this year. Last month, India was the best-performing major market globally, with gains of nearly 8 per cent. 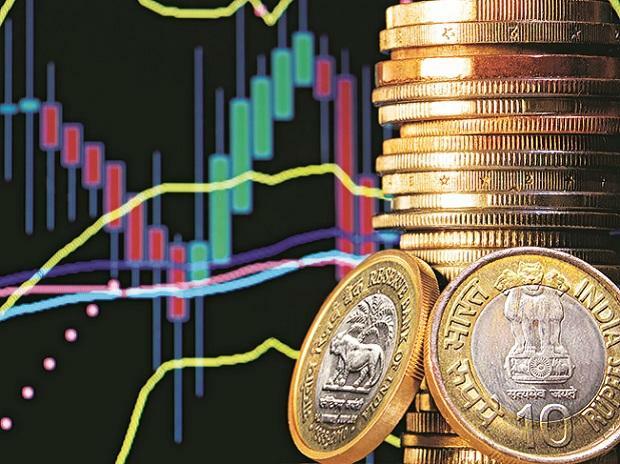 Indian markets ended the FY19 with 17 per cent gains, the most since four financial years. Experts believe the gains could moderate, going ahead. On Friday, all 19 sectoral indices compiled by the BSE advanced, led by a gauge of real estate stocks. Lenders, including IndusInd Bank and YES Bank, rose the most on the benchmark gauge. Among Sensex members, 21 ended with gains led by Tata Steel and Vedanta. Power Grid and SBI fell the most at nearly 1.5 per cent each.